Over the next decade, today’s connected world will be explosively more connected. Anything that can be distributed will be distributed: workforces, organizations, supply webs, and more. The tired practices of centralized organizations will become brittle in a future where authority is radically decentralized. Rigid hierarchies will give way to liquid structures. Most leaders—and most organizations—aren’t ready for this future. Are you? It’s too late to catch up, but it’s a great time to leapfrog. 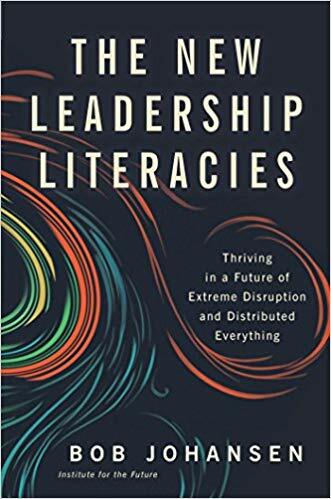 Noted futurist Bob Johansen goes beyond skills and competencies to propose five new leadership literacies—combinations of disciplines, practices, and worldviews—that will be needed to thrive in a VUCA world of increasing volatility, uncertainty, complexity, and ambiguity. This book shows how to (1) forecast likely futures so you can “look back” and make sure you’re prepared now for the changes to come, (2) use low-risk gaming spaces to work through your concerns about the future and hone your leadership skills, (3) lead shape-shifting organizations where you can’t just tell people what to do, (4) be a dynamic presence even when you’re not there in person, and (5) keep your personal energy high and transmit that energy throughout your organization.